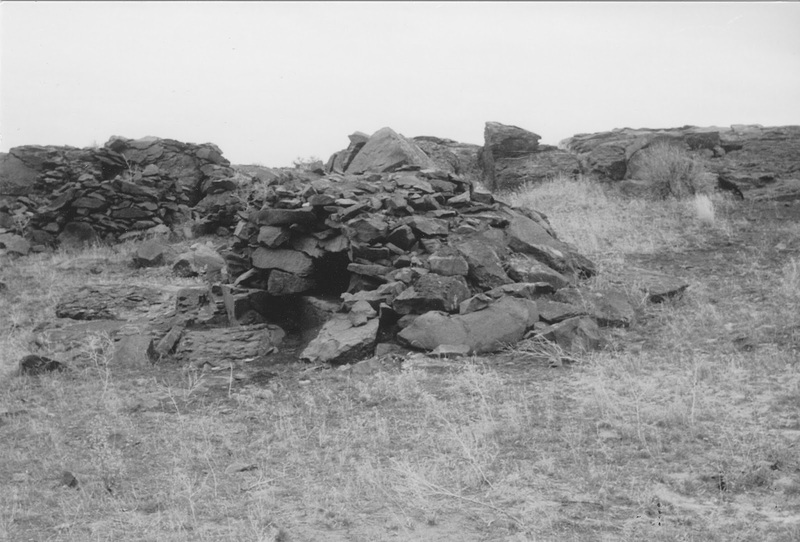 Stone ovens were quite common in the Big Bend area, where crews worked for longer periods of time in one place. Evidence of ovens on the Milwaukee, Great Northern, and Northern Pacific still exist. This view shows an oven on the west side of the Columbia River bridge at Beverly. A large fire was started inside the oven, allowing the rocks to be fully heated, then the fire and ash were swept out and bread dough or other foods to be heated were placed inside to bake.